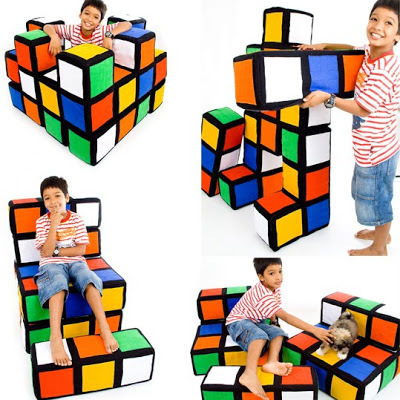 Why spend a fortune on a virtually endless array of aesthetically questionable kids’ furniture, from birth to their teen years, when you could choose customizable, transforming, modern furniture elements instead? 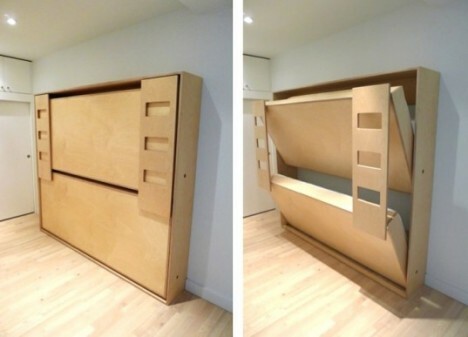 These 13 smart space-saving solutions are just as well-thought-out as furniture made for adults, and can keep up with kids’ growth. 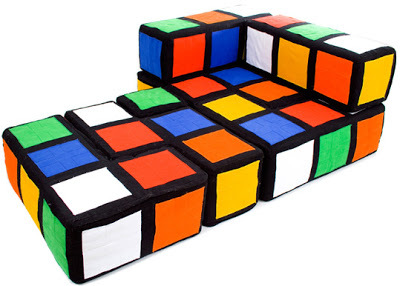 The Magic Module is a bunch of colorful foam and fabric cushions that can be clipped together to resemble a giant Rubik’s cube, or disassembled into seats, lounges, footrests and beds. 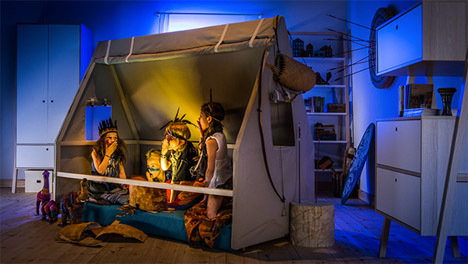 This kids bedroom-in-a-box starts out as a solid birch and plywood crib and then reconfigures into a variety of items that can be used throughout childhood. 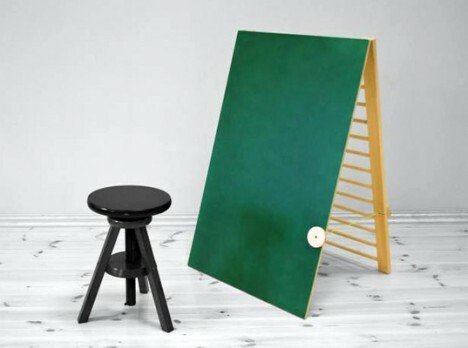 Take it apart once your toddler is too big for it and re-assemble it into a playpen, junior bed, desk or chalkboard and book rack. 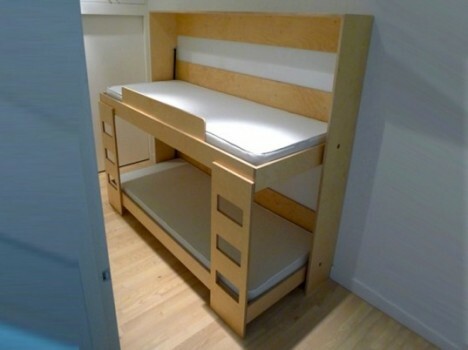 Tuck Beds by Casa Kids are ‘modern murphy beds for kids,’ with the ability to be mounted horizontal or vertically to practically any wall. It takes up just 13 3/4″ of floor space when it’s all closed up, leaving lots of space for play. 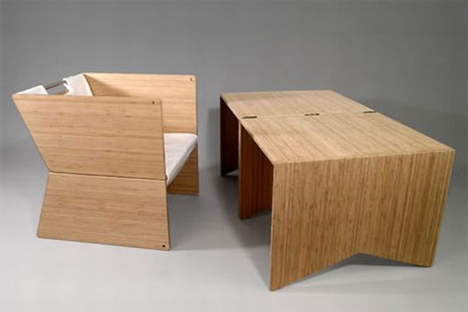 An integrated shelf doubles as leg support. 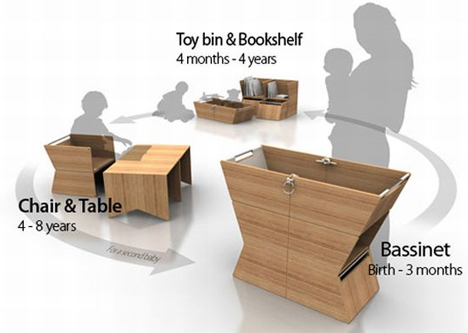 The Yiahn Bassinet is another design that goes from birth to late childhood, starting out as a safe place for baby to sleep and transforming into a toy bin and bookshelf for toddlers, and then a chair and table for kids aged 4-8 years. If the family has a second baby, it can be reclaimed for its original use. 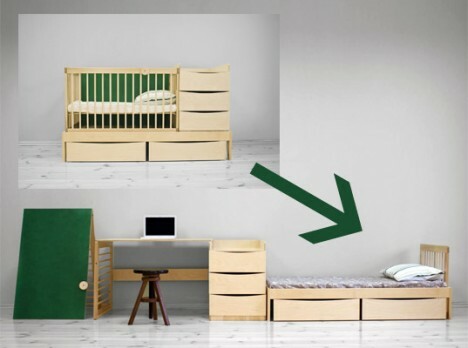 Free of all the visual clutter typically associated with children’s bedroom sets, SPOT by Polish designer Wiktoria Lenart is a space-saving furniture set with a neutral look and highly customizable character so kids can craft their rooms according to their own personalities and needs. 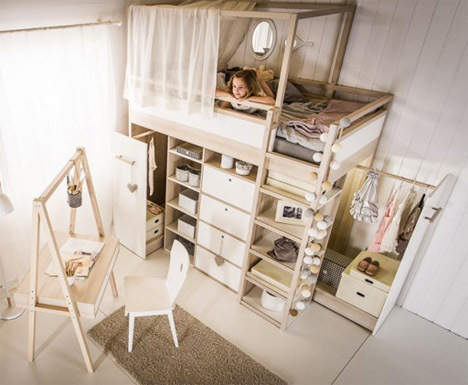 Lofted beds, sliding compartments and a bed frame that doubles as a play space make it fun and easy for kids to create their own personal spaces.